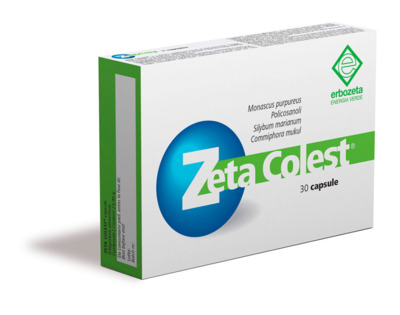 ZETA COLEST® is a dietary supplement based on Red Yeast Rice, Guggul, Policosanols and Milk thistle. Monacolin K present in Red Rice helps maintain normal levels of cholesterol in the blood. Red Yeast Rice, Milk thistle, Guggul, Policosanols from Saccharum officinarum. Take one capsule a day, preferably in the evening.